Let’s encourage each other, and ourselves, by sharing some MOTIVATIONAL MESSAGES with our photography. Simply choose an object, or a scene, and photograph it, then provide a MOTIVATIONAL quote to accompany it. It’s good to encourage others, and this seems like a great way to do just that! Extra Credit: Show us the photograph you choose for this assignment in black & white! 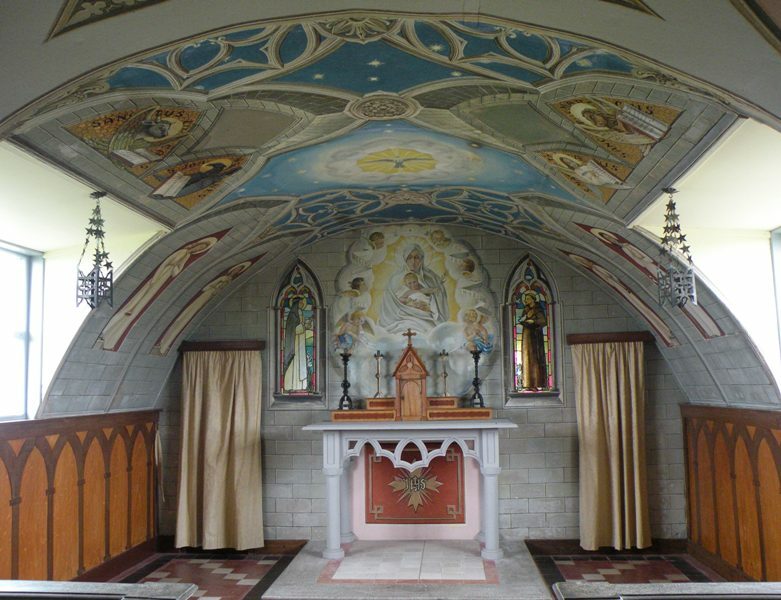 YOu may be wondering why I chose this litle chapel to illustrate the quote above….I may have mentioned it here before, (but I can’t find it) this is no ordinary chapel. It was built by prisoners of war with very limited supplies. Much is concrete. Other parts are made of old food tins. Everything was scavenged material. Isn’t it amazing what Man can do when his heart is in it? I rather think this next quote says just a little bit more on that subject! Love the photos and the quotes, but the full-color versions are my favorites for these two. 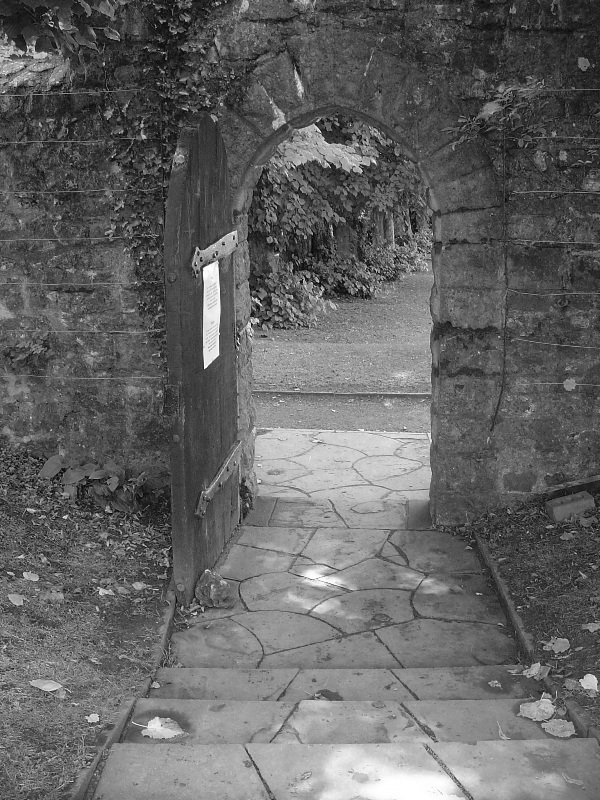 I want to go through that door in the wall and the little chapel is wonderful! Wow. I just read up on a history lesson that I knew nothing about–thank you for the link, and the garden gate and chapel pictures are beautiful. I haven’t come across those quotes before, so I enjoyed reading then a lot! Beautiful choice for the assignment… really quite lovely! Thank you for joining us this week and HAPPY EASTER! Outstanding! I especially like the first image and quote.